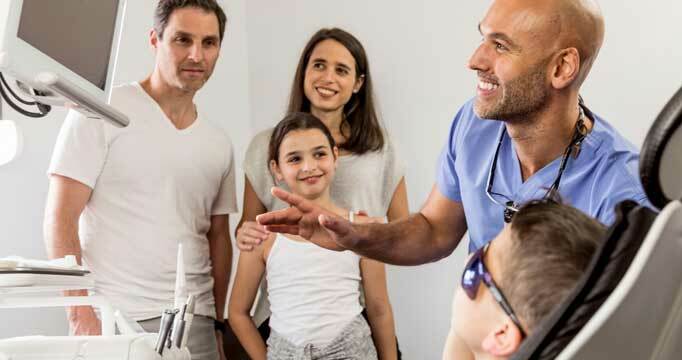 Being a family dentist in Maroubra, we see lots of them! Children shouldnt grow up scared of the dentist which was so often the case in years gone by. We have come along way in terms of equipment but also we are very lucky in Private Practice in Australia where we have a more time to spend with them: making them feel safe, looking after them, helping them actually enjoy the experience- Yes, most of our child patients actually enjoy coming to visit us! One of the biggest fears parents and children have is needles and having injections. We use topical cream to numb the surface, warm the anaesthetic so they feel it less and apply it very slowly. They sometimes feel a very cold little pinch but most of the time with their eyes shut and wiggling their toes they really don t feel a thing except the pins and needles or spottiness of it, as it starts to numb. Amazingly, it feels huge and they can’t believe when they look in the mirror and see that everything looks normal. One of the biggest fears parents and children have is needles and having injections. We use topical cream to numb the surface, warm the anaesthetic so they feel it less and apply it very slowly. They sometimes feel a very cold little pinch but most of the time with their eyes shut and wiggling their toes they really don t feel a thing except the pins and needles or spottiness of it, as it starts to numb. Amazingly, it feels huge and they can’t believe when they look in the mirror and see that everything looks normal.